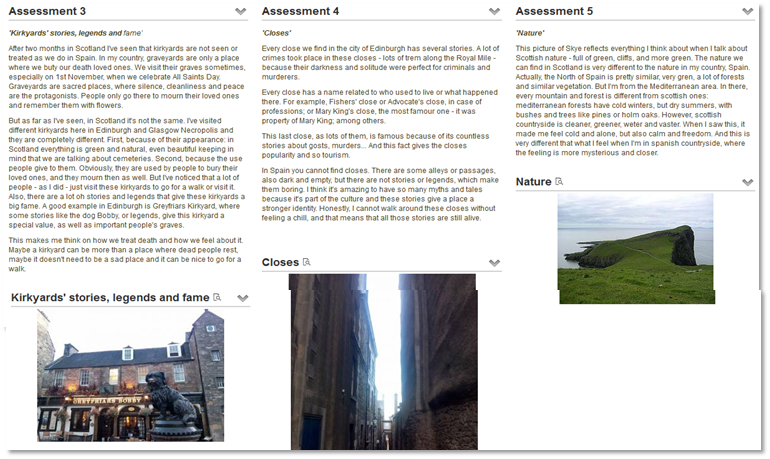 At the simplest level, Mahara provides users an ePortfolio platform combined with a social networking system. 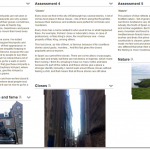 ePortfolio’s are spaces where students can record “evidence of lifelong learning” – such as essays, artwork or other such things they produce that can be stored digitally. For staff applying for HEA Fellowship via En Route, Mahara will be required so you may want to add the My Portfolio block to your Course Overview page to make it quicker to access. Contact your campus Learning Technology Advisor or Stephen Bruce (Information Services) for further information on how to create groups and share templates. 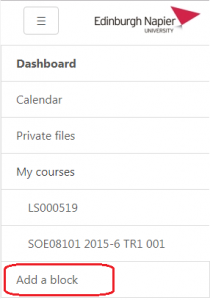 Once students graduate they will no longer have access to their University Mahara ePortfolio however they can register for the open portfolios service and then import their Mahara contents for continued access. To use the open portfolios service, students must register with a personal email account and agree to the rules of acceptable use. Students will receive an email receipt of their request, and after approval by Information Services they will be emailed instructions to complete the account creation process. Students must import the content from their University Mahara ePortfolio before their University account expires, and this demonstration video (no sound) provides guidance on the export/import process. 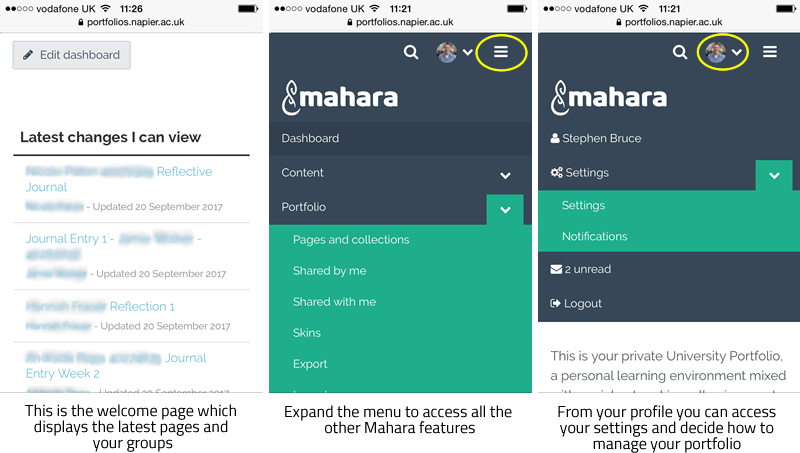 MaharaDroid enables Android phones to share or upload content to a Mahara. Download the app from the Google Play store and follow the instructions to set up your connection. 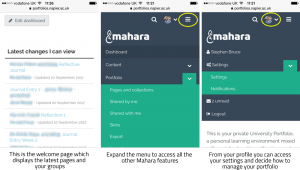 PortfolioUP enables iOS devices to upload images direct to your Mahara files area. Download the app from iTunes store and support is available from the Brightcookie.com website.